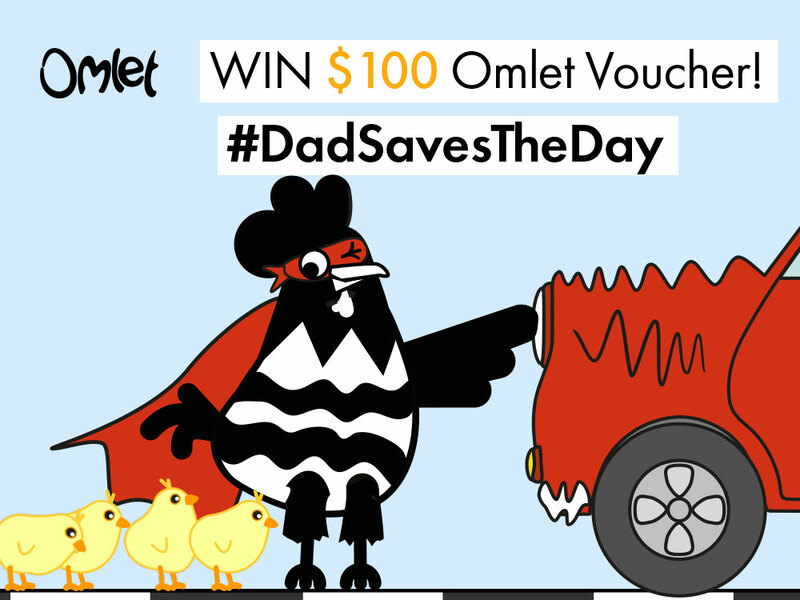 #DadSavesTheDay – Win a $100 Voucher for Father’s Day! It’s nearly Father’s Day – surprise your Dad with a $100 Omlet Gift Voucher to spend on anything from our website! We know our Dad’s are Superheroes in disguise and we’d love for you to tell us about a time when your Dad saved the day…..
To be in with a chance of winning a $100 voucher for your Dad this Sunday all you have to do is head over to our Facebook page and comment with the hashtag #DadSavesTheDay telling us about a time when your Dad saved the day! ENTER ON FACEBOOK, INSTAGRAM or TWEET US. The competition closes at 3pm PST on Friday 16th June. Terms and conditions apply: The competition closes at 3.00pm PST 16th June 2017. Entries are only applicable from social media channels. The winning entrant will be selected and notified by social media at 5pm PST on 16th June 2017. Omlet reserve the right to withdraw the competition at any point. Prizes cannot be transferred to cash. This competition is only open to US residents.